South Korean world No. 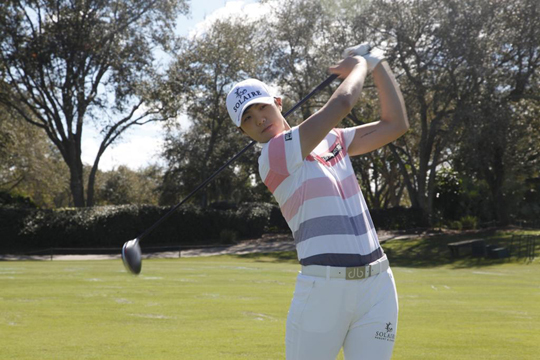 2 Sung Hyun Park firmed up her claim as the next global golfing star as she agreed to sign a record-breaking main sponsorship deal with Solaire Resort & Casino ahead of her third-year campaign on the LPGA Tour. The sponsorship contract is said to be the richest ever in Korean women’s golf history. With Solaire as chief backer, the 25-year-old Park, a two-time Major winner, will be playing with Solaire in her cap for the next two years on the LPGA Tour as she bids to claim the world’s No. 1 ranking. Solaire, presenter of the country’s premier championship, the Philippine Open, the last few seasons, including last year’s Centennial staging, is run by Bloomberry Resorts and Hotels, Inc., a subsidiary of Sureste Properties Inc.
Park, Sung Hwan Lee, CEO of Park’s management agency SEMA Sports Marketing, and Cyrus Sherafat, executive vice president for Casino Marketing, Solaire Resort and Casino, will sign the contract in formal rites in South Korea next week. Park will also banner the elite cast in the inaugural The Country Club Ladies Invitational set March 6-8 at the TCC layout in Sta. Rosa, Laguna. Meanwhile, tickets to the TCC event, also serving as a leg of the Taiwan LPGA, are pegged at P3,000 for the first two days and P7,000 for the final round or P12,000 for all three days. For details and reservations, email [email protected] or contact Jocelyn Duque at 09157974751. Park won the US Women’s Open in July 2017 and four months later became the world No. 1. The latest among a slew of Koreans who has dominated women’s world golf, Park topped the LPGA of Korea Tour in 2016. She then took her act to the LPGA Tour the following year and became only the second player after legend Nancy Lopez to win the Rookie and Player of the Year honors. Park also won the Women’s PGA Championship in Illinois last year. After holding the world’s top ranking for only one week, Park regained the No. 1 spot after topping the Indy Women in Tech Championship in Aug. 2018. She ended the season third on the LPGA money list and second in the world to Thai Ariya Jutanugarn.